What Part Do Your Public Appearances Play? Having a book launch party and signing a few books at your local books store should not be the end of your public appearances. It’s quite the opposite in fact if your goal is to build an Author Platform. Whether you’ve recently published, are about to publish, or are getting your manuscript ready to be seen by literary agents and small presses, you should be making a list of viable public appearance opportunities. Chain Book Stores w/in an hour’s drive of where you live – these are good for formal book signing opportunities and occasionally the management will allow you to read a portion of your work once or twice within a certain numbers of hours being at the store. Independent or Small Book Stores w/in a hour’s drive… – these often have a core base of patrons who can be reached by a flyer or bookmark in their purchase bag with every visit. Owners often request that you read, do a Q&A, and sign books. Coffee Shops that offer open mic nights for music/poetry/readings – these are great for getting practice reading aloud in public. Each week you will have the same supporting groups of people attending with the occasional newbie like yourself. Holiday Events your town celebrates – If there is a fair or amalgamation of people with tables of goodies and things to do find a way to be a part of it. Get permission to set up a table and talk to people as they walk by and enjoy the festivities. Special Arts Events your town celebrates – Local Craft Fairs, an outdoor public viewing of a play by a theater company, and a celebration for local creative artists are opportunities not to let slide by. Writing Conferences – these are great two-fold; you can attend in order to network or you can solicit the coordination committee to include you as a panelist. There are often book rooms where you can rent a table and sell your wares, too. Local Radio Stations w/in an hour’s drive… – these are not often easy to reach out to because it’s hard to know who to talk to. Be persistent and one of the DJ’s will consider you for a spot on their program. Look at not just trying to sell your book but talking about the core ideas your book presents and leaving the listeners hanging by the end of the show so that they want to buy your book. Nearby Cable TV Station – there is always an ‘event’ section for letting the station know that you’re launching your book or you’re donating your time or copies of your book to local institutions, so tell them about it. Occasionally someone will have a weekly program that covers writing, reading, or local celebrities – find out who the host is and contact them about making an appearance on their show. Local Libraries – these are good for readings and book signings but they’re even better for offering workshops. You can hold a simple, free, writing workshop or a talk about one of the aspects/themes covered in your book. I say free because you are a relative unknown to start and the library might be convinced not to charge you for the space if you’re not making a direct profit from the event. Bring your books, though – you’ll be surprised at how many you sell afterwards. Local High Schools – if this is an age group in your target market, let the principal or department head of which ever subject best goes along with your book know that you are available to come in and do talks with the students. You might not be able to sell your books directly to the kids but you will plant a seed of interest so make sure they know where to buy your stuff before you leave. The Women’s Auxiliary – the events these lady’s hold are legendary. Find one to participate in, arrange a book giveaway to help with their fundraising, but reach out and be apart of whatever they happen to be doing. The Local Legion – this is another great location to give talks or do readings depending on your book’s subject matter. A Venue Specific to Your Book – if you’re a chef find a restaurant or culinary arts school, if you’re a science fiction writer find a comic book store, if you’re a romance writer try the local retirement homes (for erotica check out the triple X stores in your area), if you write about a vacuum cleaner salesman connect with your local department store and do readings in the household items section… the opportunities are endless. Yes, the list is daunting but it’s a starting point. Pick 3 of the above headings that best reflect your personality and the type of audience suited to your book, then discover all you can about each of those options. Get contact names, emails, phone numbers, references, request forms – whatever you need for when you’re ready to break out and let the world know about your book. 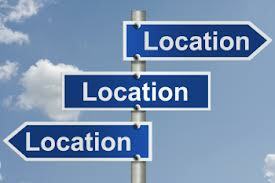 The types of venues you frequent coupled with what you can offer on a regular basis (i.e. workshops) will work toward building your recognition value. Once you’re comfortable with the first 3 options you chose, push yourself out of your comfort zone and try one of the other headings. When your next book is released you will have key connections already in place as resources to utilize in your next wave of publicity. This is probably the most difficult aspect of building your platform. Many writers are introverts by nature but even the average person would balk at reaching out to half of these resources. You need to push yourself past your comfort zone and be willing to try something new. This is your book after all and if you’re goal is to have many people read it, you have to find ways of reaching them. As always, M.J., your tips are spot on and very helpful!